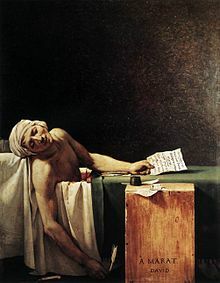 This entry was posted in Notorious Match, Uncategorized and tagged Charlotte Corday, Constable, Jacques-Louis David, Marengo, Marie-Antoinette, Napoleon, neo-Classicism, Paul Murat, Robespierre, romanticism, Turner by Angelyn. Bookmark the permalink. Another fascinating post. Thank you! You’re welcome, Vivian. Thank you for commenting. Look forward to your other blogs on this subject. 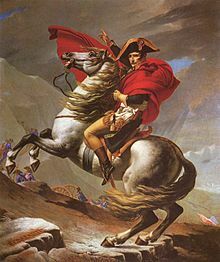 Have always admired the powerful “Murat” painting. 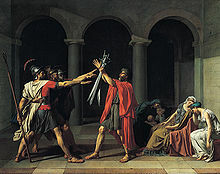 His “Death of Socrates” shows his desire to return to the classicism of Poussin. Oh, Poussin! I guess that’s why the work of David and his contemporaries is sometimes called neo-Classicism. Poussin executed a nice Diana and Endymion. Can’t say my heroine in Notorious Match cares that much for it.